Bófi had (the stone) raised in memory of Eykell/Auðkell, his good father. May Christ [h]elp (his) soul. 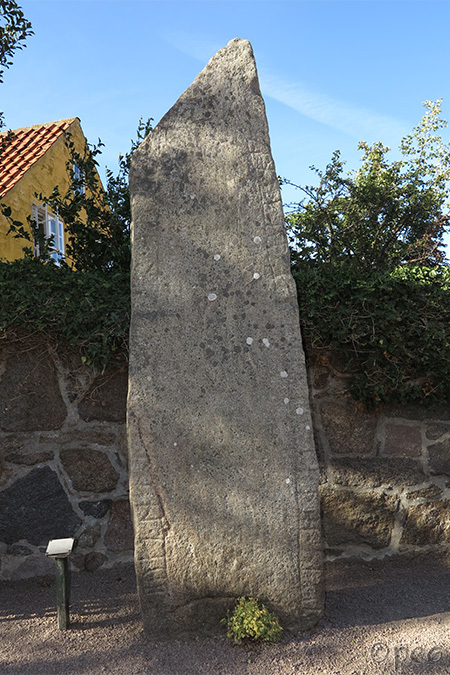 A very tall rune stone is standing on the churchyard in Svaneke on Bornholm. It's labelled Øster Marie 1.